If you wish privacy on your vacation plan, Bagayat Beach will offer you best ever option. 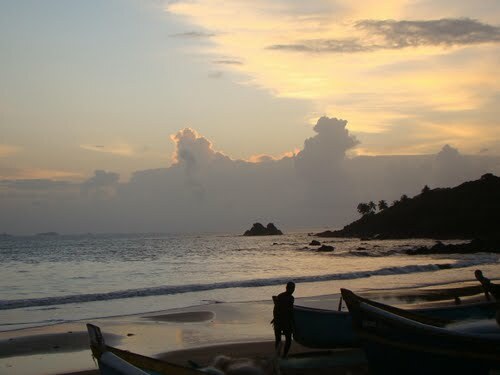 Located in Vengurla, Sindhudurg, this beach is one of the best and of its own kind. To the south of Vengurla light house (deepagruh) is the Beach stretching almost 2 km with white sand & clean blue water. Entire area is calm and quiet, so overlook the natural port of Vengurla, this pristine stretch of shiny silvery sand dunes and refreshing waves; and is bordered with magnificent cajurina plantations and fluttering palms which offers pleasure to the visitors. One needs to cross "Manasi" river on the way to reach Bagayat Beach. Walking through the sand with waves playing with the feet; it's a nice experience. Have fun with small crabs running around the Bagayat beach, finding the nearest hole to hide into. Till the water was up to the level of one hip and surprisingly, we could see the sea bed with the naked eye. Doodle around for a while at the beach, take snaps or watch how local fishermen start their day at sea. The complete lack of any affectations of being a touristy place is what will encouraged one to wander around. The golden shade of the white sand during sunrise and the view of sun setting into the ocean will set your mood on fire. The beach surrounding the temple has been wisely crafted and nurtured to grow a blooming courtyard of a variety of lowers bursting with all sorts of colours imaginable. Right at the entrance of the temple is the massive Deepstambh, and the ever vigilant Nandi the Bull, at the entrance of the Lord's abode. 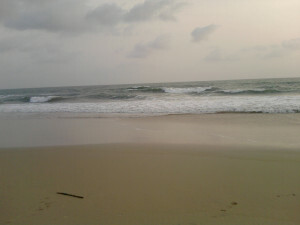 Beach resorts and hotels are available near Bagayat beach.